Cofio is the creator of AIMstor software, which unifies Data Protection, Workflow and Compliance. As a next generation application, AIMstor is highly efficient as a replacement alternative to legacy backup and recovery infrastructures. Cofio is a global supplier of storage software with offices in the US, Asia and Europe. For more information please visit: http://www.cofio.com. Hitachi Data Systems provides best-in-class information technologies, services and solutions that deliver compelling customer ROI, unmatched return on assets (ROA) and demonstrable business impact. With a vision that IT must be virtualized, automated, cloud-ready and sustainable, Hitachi Data Systems offers solutions that improve IT costs and agility. With more than 5,800 employees worldwide, Hitachi Data Systems does business in more than 100 countries and regions. Hitachi Data Systems products, services and solutions are trusted by the world’s leading enterprises, including more than 70 percent of the Fortune 100 and more than 80 percent of the Fortune Global 100. Hitachi Data Systems believes that data drives our world – and information is the new currency. To learn more, visit: http://www.hds.com. SASI drove the entire deal process from initial introductions to HDS through critical deal points in the purchase agreement. Keys to success included understanding Cofio’s core technology and value proposition, where it fits within the market and HDS, and managing the M&A process with a subsidiary of a large multinational corporation. “John made our first introductions to HDS and then guided us through the process…helping us make critical deal decisions along the way. 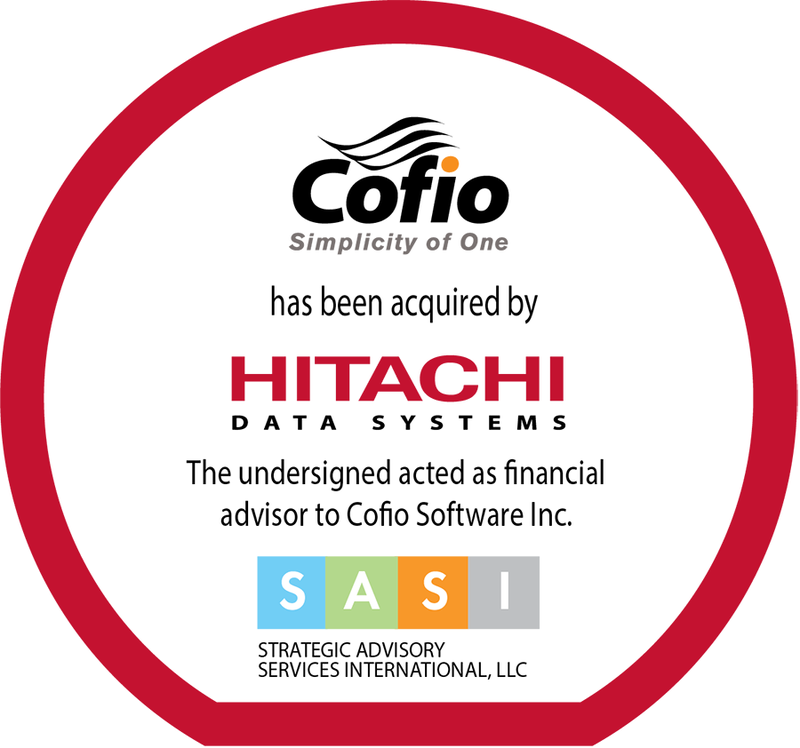 I would highly recommend SASI for M&A work in the storage hardware and software segments, and also in general technology sectors.” said Tony Cerqueira, CEO of Cofio.